When setting up affiliates for your products, you set a global commission rate for everyone approved to promote your product. This means everyone who signs-up are on the same level and earning the same commission. But you may have special affiliates who require a different commission rate. ThriveCart lets you easily set custom commissions for your affiliates on a per product basis. Go to your Affiliates area, then click the My affiliates tab. Locate the affiliate you wish to set custom commissions for and click View profile. 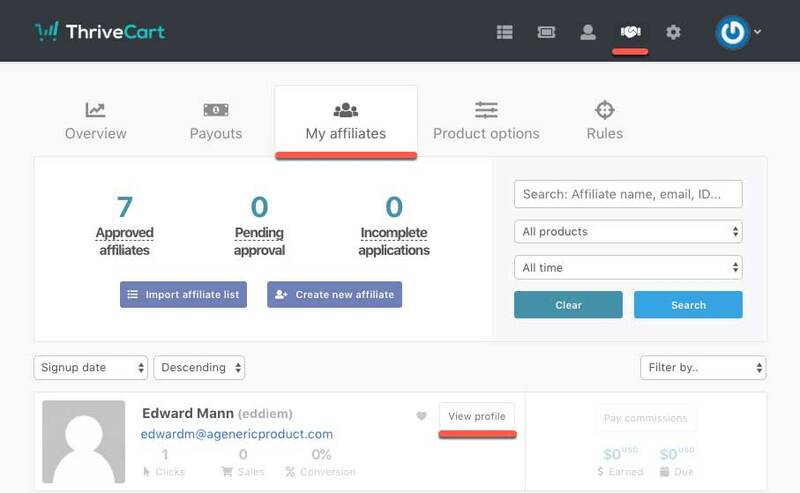 Under your affiliates profile, you’ll see a list of all the products they are approved to promote. Locate the product you want to set custom commissions for and click the Affiliate options button. When clicking this button you’ll be shown a modal window with various options for this affiliate and product. You’ll want to go to the Custom commissions tab. 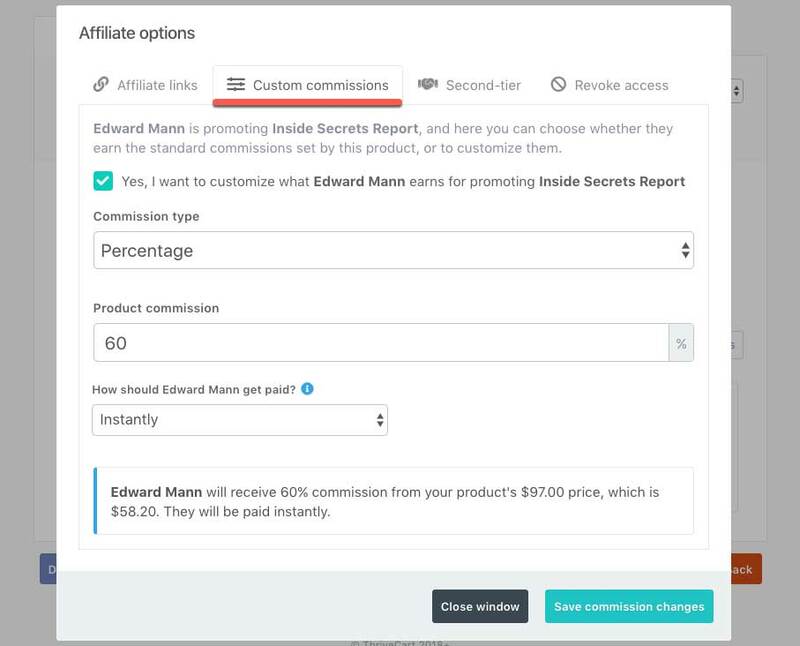 When you enable the affiliate’s custom commissions you will be able to set the unique commission options such as the type of commission (percentage or fixed), the commission amount, and when they will be paid. If the product is a recurring subscription, you will be able to set both the upfront and recurring commission separately. Custom commissions cannot be set for individual payment options. This will be a commission rate for all payment options. It includes upsell commission rates. If you funnel has upsells they will also be at this commission rate if they are enabled for affiliate commissions. If you have any questions, feel free to reach out to us in support directly.